Logo selected by crowd vote. 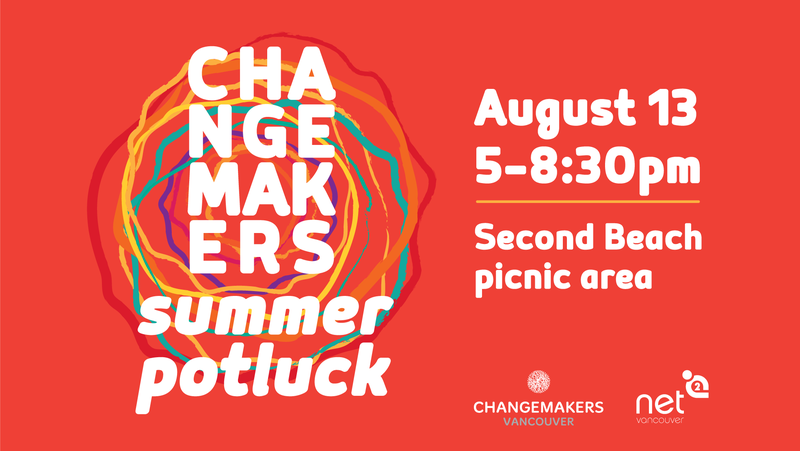 Changemakers Vancouver is “a network of people who want to learn, share, and act so to make the world a better place. We believe in connection, collaboration, and creativity.” The group, of which I am a part, needed a logo that conveyed ideas and characteristics such as connections, catalyst, network, interaction, active, positive and fun. We wanted something sophisticated and confident that would appeal to a broad Metro Vancouver audience. I chose a friendly and sophisticated font whose shape complements the roundness of the icon. The deep purple is rich and approachable with a warm energy. The shortlisted turquoise is fresh and vibrant, and reflects our location — the ocean and forested mountains of the coast. The stem has been omitted for strength of shape and simplicity. Early in 2014, we launched a very simple responsive website.